In the early months of 1918, the people of Britain had grown tired of a war that seemed to have settled into a perpetual, if bloody, stalemate. But, perhaps because of that tiredness, they were starting to think about a world after the war. Some thought in international terms, including H. G. Wells, who campaigned for a League of Nations. Most, however, Rose Macaulay among them, were more concerned with what Britain would be like. 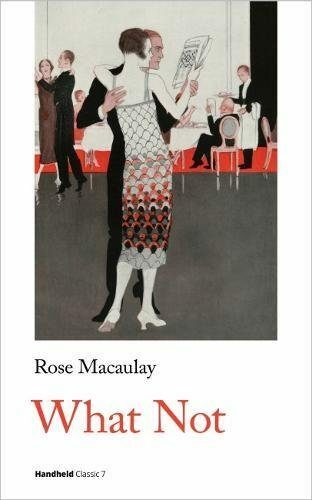 Rose Macaulay had published her first novel in 1906 and had, earlier in the war, produced a well-received book about experiences on the home front, Non-Combatants and Others. In 1917 she started working at the War Office, and then moved to the Ministry of Information, where she was part of the British Propaganda Department. This gave her an intimate familiarity with the coercive nature of government in wartime. Lloyd George’s National government (mostly Conservative, with a small rump of Lloyd George’s own Liberal party) had proved to be very authoritarian, introducing a string of measures such as conscription, rationing, and censorship. Moreover, Lloyd George had elevated to the peerage newspaper barons such as Beaverbrook and Northcliffe, and then brought them into his government so they had unprecedented influence over both the formulation of policy and also its dissemination to the public. It was this political situation that bothered Macaulay when she looked ahead to the post-war world. Most of those who looked ahead tended to think in terms of solutions to pre-war questions: votes for women (in a casual aside Macaulay suggests that this has been achieved) or Irish demands for independence (Macaulay simply says there is always an Irish question). But for Macaulay the biggest worry was the continuation of this coercive government into peacetime (I think she would have nodded with weary familiarity when the Conservative leader, Bonar Law, said after the victory that Lloyd George “can be dictator for life if he wishes”). To illustrate this she picked on another pre-war issue: eugenics. Before the war the idea of controlled breeding in order to improve the human race had been a predominantly left-wing notion espoused by Wells and other Fabians; after the war, when the emphasis changed to controlled breeding to eliminate mental, social, sexual or racial undesirables, it became central to extreme right-wing politics. What Not occupies a rather uneasy middle ground. The aspiration of the Ministry of Brains, and its charismatic leader, Nicholas Chester, to raise the intelligence of the population by mental training and selective breeding in order to avoid any future war, is presented as a generally good thing. But its downfall is due to the fact that it is a denial of individual freedom. According to its first line, the novel is set “After the Great War (but I do not say how long after)” (p. 7); it is certainly long enough after for “aero buses” to provide regular public transport about London, but close enough that “always there was that sense in the background of a possible great disaster, of dancing on the world’s thin crust that had broken once and let one through, and might break again. Its very thinness, its very fragility added a desperate gaiety to the dance” (p. 9). Throughout the novel the closeness of war is tangible, even in minor details like the couple who employ a disabled ex-soldier as a gardener though he cannot garden. That sense of how easily we could slip back into those horrors informs the emotional tone of the book, because even though the war is over, it remains ever present. The idea that the world slipped into war in 1914 through a communal idiocy excuses and explains the eugenicist mission of the Ministry of Brains: raise the intelligence of the country and there will be no more war. It is something that we are meant to take seriously; the war is too close for us not to take it seriously. But it is also something that Macaulay satirizes mercilessly, as in the advertising for one of the Ministry’s Mind Training courses, in which a financier is quoted as saying: “Since I began the Course I have doubled my income and halved those of 750 others. I hope, by the time I have completed the Course, to have ruined twice this number” (p. 33). The fact that this programme of eugenics is not the true focus of the novel is demonstrated when the heroine, Kitty Grammont, a civil servant in the Ministry of Brains, responds to this advertisement by saying the fact that they haven’t been bombed proves that “we must be more popular than we deserve. It shows that people really like being coerced” (p. 36). The principle method of coercion used by the Ministry is to classify people for breeding purposes according to their level of intelligence and that of others in their close family. Thus people are either A, B1, B2, C1, C2, C3, or uncertified: there are financial benefits for those who marry someone in an approved category, and financial penalties for those who have children with someone from the wrong category. These categories prefigure the castes based on intelligence and social role in Aldous Huxley’s Brave New World, and Huxley’s World Controllers seem to echo the United Council that rules Britain in What Not. There is no evidence that Macaulay directly inspired Huxley, but they were friends and he would probably have known of this work. There are also suggestions that George Orwell’s Nineteen Eighty-Four, which also sets its dystopia amid the bureaucracy of Britain’s civil service, owes something to Macaulay’s earlier novel. Though What Not has been virtually unknown for decades, it still seems to have been an important and influential work. The story, when it gets going, concerns the romance between Kitty Grammont, who has been classified A, and the Minister, Nicholas Chester, who, because he has two “mentally damaged” siblings, is uncertified. The very system that Chester has formulated and upholds, forbids this romance. Try as they might, the two cannot keep their hands off each other, and eventually they marry in secret. But secrets on this scale cannot be kept forever, and in time the whole house of cards comes tumbling down. The revelation of the secret is also what did for the novel. At a key moment Chester confronts the newspaper editor who has discovered the secret, and a case of mutual blackmail ensues. As the novel was about to be published in Spring 1918, Michael Sadleir, a director at the publisher, Constable, decided that the passage was laying themselves open to a libel suit from one of the now all-powerful media barons. The book was withdrawn at the last minute while Macaulay wrote a dreadfully anodyne replacement passage—“They had an interesting conversation on this topic for ten minutes more, which I do not intend to record in these pages”—and as a result the book did not actually appear until 1919, after the war had ended. By then the interest in looking forward to a potential future peace had been replaced by the necessities of coping with an actual peace; the novel had lost its moment and did not enjoy the success it might, perhaps, have expected. This new edition of the novel is the first to appear with the original passages in place. This is thanks to John Clute, who at some point acquired Sadleir’s own copy of the original novel, with the amendments marked in. The result is an interesting, perhaps a necessary, book, because it casts a remarkable new light on the development of interwar dystopian fiction. On the other hand, it is not really a good novel, per se. The prose varies between the laboured verbosity of Victorian literature, and passages of rare lyricism (the best part of the novel is the account of Kitty and Chester’s secret honeymoon in Italy, a country that Macaulay had written about on other occasions and that she imbues with a rapturous sensuality). The satire can be bitingly funny, but it is often ill-directed and it is not always clear whether we are meant to disapprove of the Ministry of Brains. And what is going on around the edges of the story, the aero buses for instance, is not thought out at all so we have little idea how this world actually operates. On the other hand, Kitty and Chester, in particular, are well-drawn characters and their attempts to keep their romance at a distance can be very moving. And Macaulay’s commitment to avoiding war at all costs—she would, for instance, go on to be a prominent member of the Peace Pledge Union—provides a steadfast moral core to the novel that is never less than engaging.